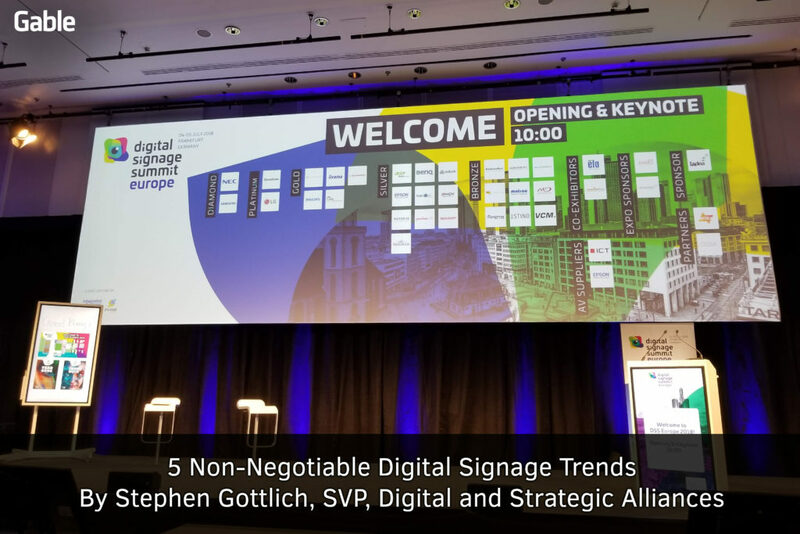 Having recently attended the Digital Signage Summit Europe in Frankfurt, where Digital Storytelling was the emphasis in elevating Digital Signage in the digital out of home (DOOH) market, several themes were prominent. Industry visionaries like Florian Rotberg of Invidis Consulting shared ideas about breaking traditional restraints of retail and setting new standards. Harvard Business Review tells us, “We are now in an experience economy.” Here are the non-negotiable movements for what’s next in the changing retail landscape. Doug Stephens says, “Experience won’t just sell products. Experiences will BE the product.” Those mindful of the customer journey recognize a shift in demand for digital experiences and are poised to understand how to engage shoppers with new experiences in retail. No longer is retail transactional. It must evoke inspiration and engage emotions. The senses must come to life. Ultimately, experiences must inspire, before people will share the brand, regardless of the channel. As the dynamics of the buyers change, brands must increasingly be able to inspire and inform with sharable content. The emphasis is on how brands sell, not what they sell. The power is in the buyers’ hands, and it’s up to us as strategists to reveal how digital experiences can add value throughout the buyer journey. Content for digital signage must now address a powerful “why” to engage consumers. 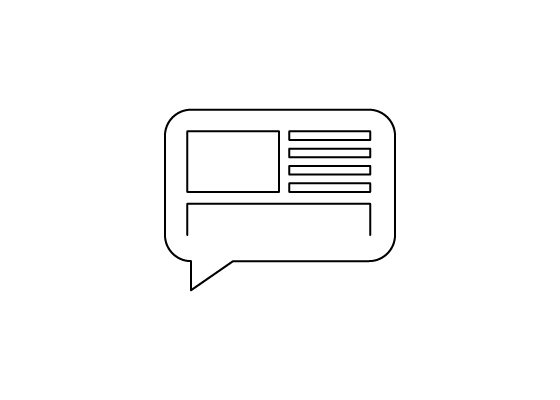 Stories must be conveyed to engage viewers and make experiences sharable. Content must go beyond informing to be heard. It must provide entertainment in the form of art, gamification, and other means. It must make people feel. It’s not about selling products. Artificial intelligence is on the cusp of something monumental and it’s up to us to determine precisely what that is. We can’t ask people what they want from AI because, as the saying goes, people don’t know what they don’t know. It’s up to the visionaries to push the boundaries and ask, “What’s next?” while not accepting the standard, old way of thinking, or getting pulled into resolving the issues of today. As Amazon Echo and Google Home usage continues to climb, interactivity will move beyond touch to incorporate audio. Blending of digital in the architecture and interior must be seamless to provide an unobtrusive and even uncluttered experience. Digital provides the canvas for a physical store creating a platform for inspiration. Flagship stores, global brands, and museums lead the digital movement and are particularly adept at developing digital solutions integrated into architecture and the environment.